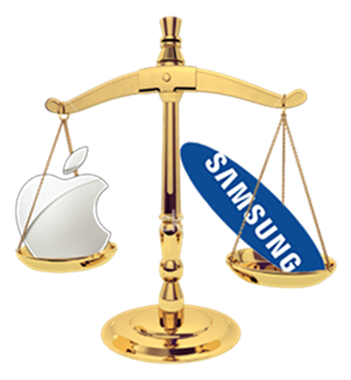 Another day, and another Samsung vs. Apple debacle, this time it seems that the Korean giant Samsung is requesting depositions from “Jony” Ive and other Apple inventors. We discussed only yesterday that Samsung were demanding Apple to hand over the source code for the iPhone 4S. Edible Apple is reporting that Apple’s iPhone inventors Jonathan Ive, Douglas Satzger, Shin Nishibori and Christopher Stringer are all due to be deposed very soon, and before the Apple vs. Samsung trial in the USA. Jony Ive needs no introduction, but let me tell you who the other key guys are; Douglas Satzger, who has worked at Apple for 12 years, and he worked on all the creative aspects of color materials and finishes for products from the first iMac to the latest iPhone, iPods, iPad and MacBooks. Shin Nishibori is an industrial designer with Apple and has a huge amount of patents with his name stamped upon, his name appears on patents for the iPod nano, the MacBook Air and the iPhone 4. Christopher Stringer also like Shin has a lot of Apple patents under his name. Mr. Satzger could not attend due to his whole month of October being taken up with a deposition on a separate case, Mr. Nishibori is on a voluntary leave of absence, Mr. Ive is unable to sit for deposition due to personal reasons and Mr. Stringer is unable to sit due to work and scheduling conflicts. What would Steve Jobs think of this bold move from Samsung to depose one of Steve’s favorite designers? Someone who Steve saw as his “spiritual partner”, I am sure he would have some very strong words in the courtroom. I will say it again and again, why don’t they just leave the school ground stuff to the kids of the world? And start focusing more on their products and making them the best they can, I am sure they will be anyway, but surely this is all just wasted time in an ever growing Tech industry. With Apple’s claims of "copying" their hardware’s look and feel, and Samsung’s claims of stolen patents, it just looks and feels like this will never come to an end. If anyone from Apple or Samsung is listening, please stop! I may have to switch back to my Nokia 3210 if you don’t. But seriously what do you guys think about all of this? Do you think they should just stop with the petit court fights? Should they focus on what is right? The product. Please leave any comments on our Facebook fan page.